Welcome to DanFish International! - one of the world's most important exhibitions for equipment and services for the fisheries industry. DanFish International, which will be held for the 26th time in 2019, is an international forum, where producers and other suppliers to the fisheries sector have an outstanding opportunity to make contact with costumers from all over the world. DanFish is also a unique forum where both exhibitors and visitors can engage in lively networking. The region’s largest gathering of shipping and maritime industry decision makers. 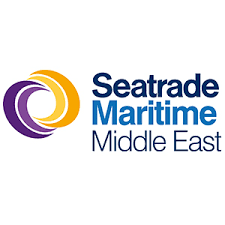 Seatrade Maritime Middle East attracts nearly 8000 attendees from across 90 countries who specifically use this platform to do business with owners, operators, managers, charterers, superintendents, senior management and anyone involved with the procurement of equipment and services within the maritime, offshore, oil & gas and ports industries.